Cadbury Hot Chocolate. Deliciously creamy. 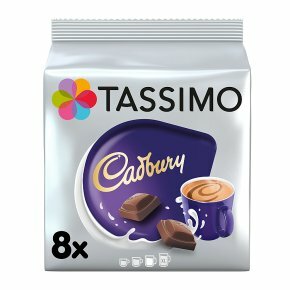 8 Servings per pack.Enjoy one of the nations favourites with Tassimo Cadbury Hot Chocolate, a perfectly smooth hot chocolate drink with the delicious creamy Cadbury taste, topped with an indulgent froth.